The team at Medland Dental Centre paid a special visit to the preschool children at Tarragindi War Memorial C&K. 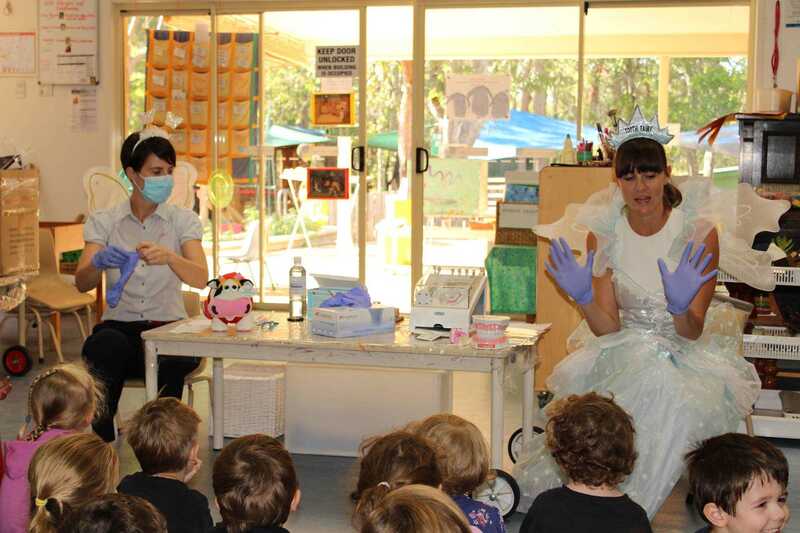 Our hygienists Shannon and Eliza as well as the Tooth Fairy Dr Stephanie Shields were invited along to talk to the children about their first dental visit and promote good dental habits from a young age so children can have happy healthy smiles for life. The children had great fun sharing their dental stories, playing a healthy food guessing game and dressing up with the dental masks and gloves. Medland Dental Centre is delighted to support our local community and assist in fostering optimal dental habits for both young and old.